The Full Tilt Online Poker Series concluded late this morning having paid out nearly double the initial $7.5 million that was offered for the series. Following an incredible final weekend of action, which saw five more guarantee-busting tournaments played on the FTOPS virtual felt, the Full Tilt Online Poker Series has drawn to a close. As predicted on PokerNewsReport last Tuesday, the $7.5 million guarantee for the series was almost doubled and a total of $13,043,037 was distributed in prize money over the 35 events. Saturday´s FTOPS XXI results can be found in our Main Event preview from yesterday, and for those wondering how the climax to the series played out – and whether “callyoudownn” could hang on to the top spot in the FTOPS Leaderboard competition – all is revealed below. The conclusion of the two-day Superstack $2,100 multi entry NL Hold´em tournament came much sooner than many had predicted. 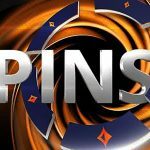 It only took 8½ hours for the 72 players who remained in the event on Sunday morning to play down to a winner, with only two players in the top ten chip counts overnight making it to the final table. After a three-way chop, Kevin “A_theKevlar_2” Schulz collected $255,780 for beating Scott “stpauli111” Hall with Nicky “nickyluvshu” Tao Jin back in third, while the fortieth place finish by “callyoudownn” virtually wrapped up the Leaderboard competition. 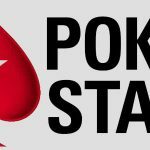 The “warm-up” to the FTOPS Main Event was a multi entry, Deepstack, Knockout 6-Max NL Hold´em tournament, which saw 2,934 players pay the $256.00 buy-in (some of them multiple times) to create a prize pool of $856,000 plus 4,280 $40.00 bounties. The player who made the ultimate KO was Swiss player Ronny “ronnyr37617” Kaiser, who already has a FTOPS title from the final series played on the former Full Tilt Poker and who used his time off from online poker to wrap up last year´s EPT Tallinn Main Event. We were almost correct with our forecast yesterday that the prize pool for the FTOPS Main Event would crack the $3 million barrier – as 4,766 entries into the tournament created a pot of $2,859,600! Going into the final table, it was UK poker player Gerald “Aberdonian85” Cochlan (8,534,000) who held a 3 million chip advantage over Scott “iRockhoes” Augustine (5,475,000) and Yann ”yadio1111” Dion (5,115,000) – but also among the final nine were dual WCOOP Bracelet winner “AmplifiedSample” and Sorel “ImperIum” Mizzi. Mizzi started bossing proceedings and looked as if he was going to run away with the tournament at one point until Yann Dion (A♠ Q♣) out-kicked him in a 5 million chip pot when both players paired their Aces on the flop. Dion then had the confidence to call a three-way pot in which “Mamoht_T” (A♦ K♣) shoved, Sorel Mizzi (A♠ 10♠) also shoved and both were called by Dion (8♥ 8♣). The board ran 2♣ 6♦ 2♠ / 6♠ / 9♣ and both shovers were eliminated – Dion chipping up to almost 17 million chips. As level 43 started (blinds 120K/240K – ante 30K), the game turned on its head. “CSWAMI” managed to chip up level with “AmplifiedSample” and then eliminate the Russian when his A♦ 10♠ caught trips Tens to crush “AmpliedSample”´s A♥ 7♠. “CSWAMI” temporarily took the lead when his A♣ J♠ got the better of Dion´s A♥ K♠ for a 6 million chip pot but blew it in the next hand when Dion rivered a gutshot straight. 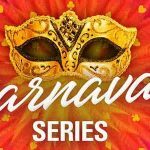 A called A♣ A♠ shove by “CSWAMI” took the Canadian player back into the chip lead, but “Yadio1111” levelled up the chip stacks once again with a rivered diamond flush. With little difference between the two chip stacks, the players agreed a deal where each would receive 50% of the prize money and leave $40,000 to play for. 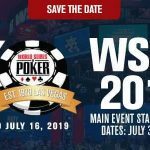 Whereas the agreement of a deal in previous FTOPS events has had the effect of bringing a rapid conclusion to the game, in the Main Event it seemed to have the opposite effect. As the blinds rose to 170K/340K (ante 40K) both players remained evenly matched with chip stacks of around 17 million. Yann Dion took one big pot with an Ace-Five straight, and thought he had won the event when his Ace-Ten straight was called by “CSWAMI”, only for “CSWAMI” to have the exact same hand. Eventually something had to happen and, after almost 16 hours of play, Yann Dion was dealt K♦ K♣ and got four rounds of value out of “CSWAMI” on a Queen-high board. With a 2:1 chip advantage, Dion started pushing his pre-flop raises a little harder and eventually got “CSWAMI” all-in in a A♥ 7♠ v A♣ 4♠ race. There was no help on the board for “CSWAMI” and Yann Dion wrapped up the Main Event and $453,229 first prize. Having not been out of the first two for eight consecutive days, “callyoudownn” wrapped up the leaderboard competition with his cash in FTOPS #31. Plenty of other players in behind him also managed to cash in the events staged on the final day of the FTOPS at FullTiltPoker.com, but none were able to earn the FTOPS Points to threaten his top spot. 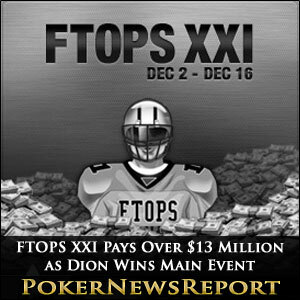 “callyoudownn” wins free entry into all the FTOPS XXII events in the Spring – with the exception of the two-day event.